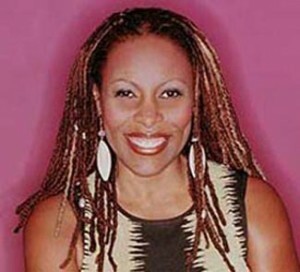 Brenda Russell has been a well known, highly regarded songwriter & artist for the past two decades. As a writer/artist, she has released eight albums (four on A&M Records), and she scored a major hit with her Grammy-nominated song ‘Piano In The Dark.’ As a songwriter, she has written classic hits for other artists, including ‘Get Here’ (for Oleta Adams), ‘If Only For One Night’ (Luther Vandross), and ‘Dinner With Gershwin’ (Donna Summer). Now in 2006, Russell has a whole new career she can be excited about ‘ as a songwriter for a hit Broadway musical and soundtrack. Russell has devoted the past four-and-a-half years to co-writing (with hit pop writers Allee Willis and Stephen Bray) the songs for the new Broadway production of The Color Purple, which opened successfully in December (2005) at the Broadway Theatre in Manhattan. Russell, Willis & Bray have since received Tony Award nominations for Best Original Score. The show is drawn from Alice Walker’s Pulitzer Prize-winning novel and Steven Spielberg’s epic film (which starred Danny Glover and Oprah Winfrey). In addition, the show’s Broadway cast album has just been released on Angel/EMI Records. Russell, Willis & Bray wrote a total of 40 songs for the project, of which 29 songs made it into the show. Many of the songs are full-length, while other songs are short, musical moments that fit certain spots in the show. These 29 cuts are featured on the Broadway cast album. A scene from the Broadway production of The Color Purple. It was around spring 2005, that The Color Purple musical received a major boost, when Quincy Jones became one of the show’s producers. Jones (who produced the movie version of The Color Purple and composed the film’s score) loved the new musical and songs, and he became an important part of The Color Purple team. 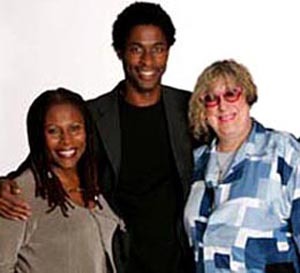 Brenda Russell, Stephen Bray & Allee Willis. During the fall, the show received another major boost, when Oprah Winfrey (who starred in the movie version) also became one of the show’s producers. She loved the musical and was a big supporter, promoting and endorsing The Color Purple on her widely-viewed TV show.